It has been a while since I have composed my thoughts. It has been a while since I've been to Hong Kong. Along with my brood, we just came back from a trip in Hong Kong and it deserves a post. In the past, my trips to Hong Kong had always been more shopping and eating... eating nothing else but goose and pigeon. Yes, every meal of any of these two and I'm fine. This time, I went with two of my cousins who scheduled their itinerary based on where to eat... and I tagged along for a change. While in Hong Kong Disneyland, check out the chinese food at the Plaza Inn Restaurant. It is located at the end of the main street by the roundabout. Plaza Inn Restaurant is operated by no less than the Maxims Group. In between, grab a bag of caramel popcorn of any of Disney's kiosk. Head to Airport Express Hong Kong Station an hour before your scheduled meal for some great dimsum at Tim Ho Wan. When you see the airport express check-in counter, take the elevator and go two more floors down. There is always a long waiting time, an hour or two usually. 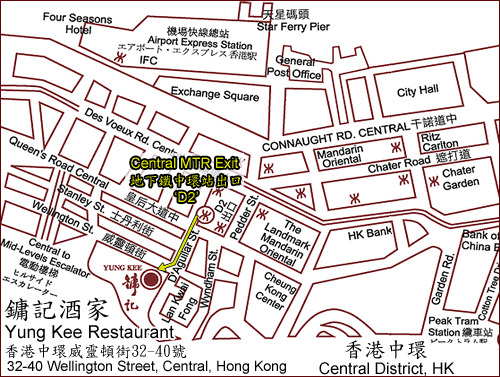 Tim Ho Wan is a rated Michellin Dim Sum and probably the cheapest starred. They are most famous for their asado bun (baked bun with BBQ Pork) (19hkd for 3) , Vermicelli Roll, Pan Fried Turnip Cake and Steamed Egg Cake. I personally like their siomai (pork and shrimp dumpling) which on the sweet side and the shrimp wrapped in beancurd was perfect for my all protein dukan diet but found their desserts strange. Find yourself at the MTR A1 exit to Nathan Road and head to Canton Road and look for this sign next to the Market Place Supermarket. Take the escalator down, the restaurant is at the basement. Sweet Dynasty is famous for their desserts and Congee. Their dimsum was equally good, so is their soya beancurd and their BBQ pork in puff pasty was the best, I went back the next day for another serving. On weekends, they open as early as 730am, perfect especially when the hotel does not include breakfast. A few meters from Sweet Dynasty, you'll find Chuk Yuen Seafood Restaurant. My cousin was raving about the cheese lobster. I was quite skeptical at first, as I'm not fond of lobster and I was on dukan diet. At the end of day, I can say that was one of the best dishes I've tasted. It was finger licking good and the cheese perfectly blended without being overpowering. Aside from the cheese lobster, the mantis shrimp drowned in fried garlic was likewise very good. For 5 adults, our bill was about 2,500 hkd. The lobster and mantis shrimp was around 650hkd per kilo. Aside from these we had the basic menu: fried chicken, spareribs and duck soup. Whew, that was a lot of good food and happy that after all these, I did not gain weight! (I didn't eat rice and avoided most of the carbs). I missed out on some good ramen and egg tarts. Now I want to go back and eat some more. Taking notes from a fellow blogger on my next visit. Some great recommendations there, although I live in HK and eat these types of foods every day I know that some are a lot better than others. Some cost a lot more than others too! Sadly it isn't always linked; better quality doesn't always go with higher price. Seeking out those "sweet spots" where the price is affordable and the taste is good is what Hongkongers are always thinking about! Raymond, having lived in HK, i would appreciate if you could share your recommendations too. thanks for dropping a line.